Octopus Books, which frequently hosts events and discussions on environmental issues, is screening the documentary Inuit Knowledge and Climate Change in Ottawa on Wednesday, August 14, 2013. 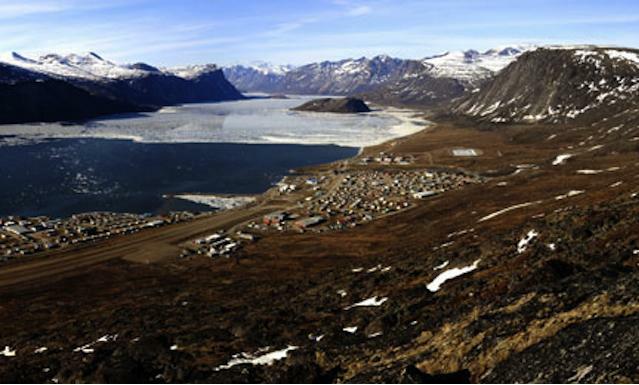 In the film, Inuit present their perspectives and knowledge on climate change in the Arctic. Described as the first Inuktitut language film on the ecological and social effects of climate change, Inuit Knowledge and Climate Change was made by director Zacharias Kunuk (Atanarjuat, The Fast Runner) and filmmaker Dr. Ian Mauro (Seeds of Change). There’s more information at http://www.isuma.tv/en/inuit-knowledge-and-climate-change. The August 14 screening is organized by the Indigenous Peoples Solidarity Movement Ottawa (IPSMO), Cinema Politica, and Octopus Books. The film and discussion are from 7:00-9:00 p.m. at Octopus Books’ Centretown location, 251 Bank St., 2nd floor. Admission is pay-what-you-can.